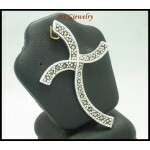 Searching for your cross jewelry has never been easier with all the cross designs, including pendant, ring, charms etc., placed in this section to make your search a religious experience. - Size: 40 x 32 mm. - Weight: 7.30 grams. 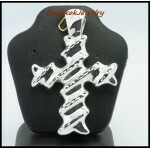 - Metal: Sterling Silver. - Size: 35 x 35 mm. - Weight: 10.30 grams. - Metal: Sterling Silver. - Size: 28 x 20 mm. - Weight: 1.50 grams. 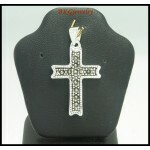 - Gemstone: Marcasite. 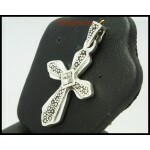 - Size: 55 x 28 mm. - Weight: 4.00 grams. - Gemstone: Marcasite. - Size: 35 x 30 mm. - Weight: 3.50 grams. - Gemstone: Marcasite. 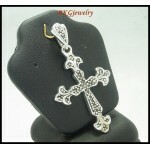 - Size: 33 x 23 mm. - Weight: 1.70 grams. 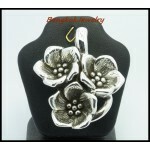 - Gemstone: Marcasite.